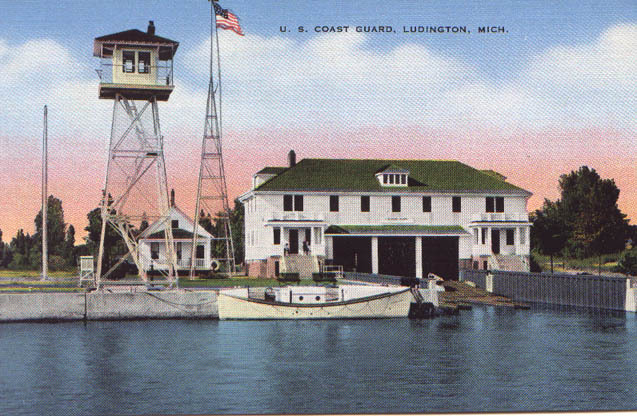 Ludington life saving station. Notice the signal flag tower and the dwelling to the north which is probably the lighthouse keepers dwelling. Joshua J. Brown was appointed keeper on 25 OCT 1879 and resigned on 1 MAR 1883. Robert Broadbent was appointed keeper on 15 FEB 1883 and resigned, date unknown. Telesford St. Peter was appointed keeper on 25 FEB 1893 and transferred to Station Chicago on 28 NOV 1893. Adam N. Weckler was appointed keeper on 14 AUG 1900 and resigned on 12 OCT 1905. Berudt Carlson was appointed keeper on 26 OCT 1905 and died 31 JAN 1913. Eli E. Pugh was appointed keeper on 21 FEB 1913 and was still serving in 1915. 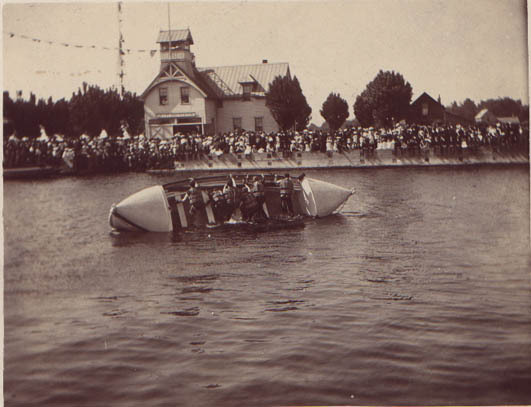 Original cabinet card photograph of the Ludington crew performing a capsizing drill in their life boat. Notice all the spectators on shore. 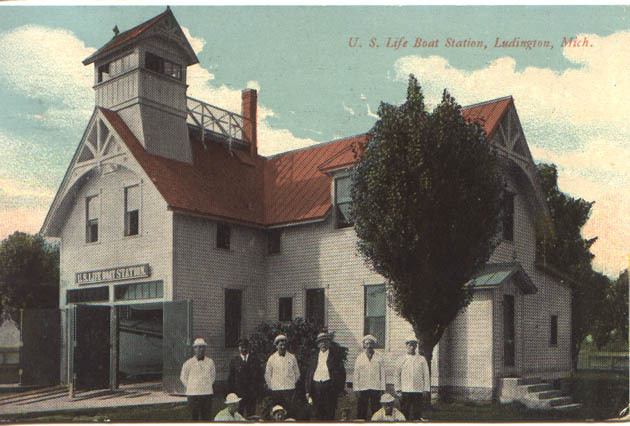 Crew in front of the Ludington station. 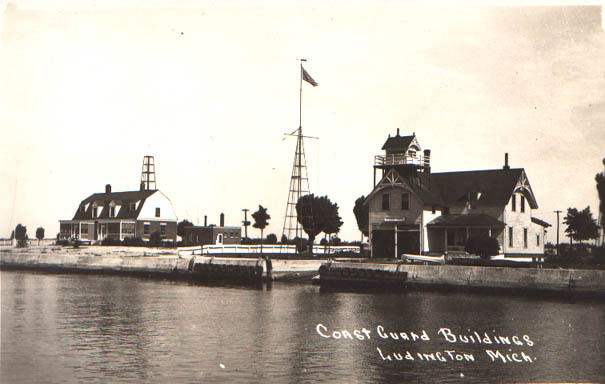 The remodeled US Coast Guard station now expanded from the original stick style design. 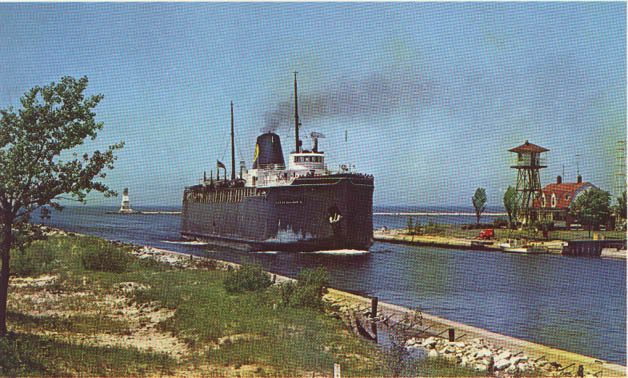 The Ludington car ferry passing near the Ludington Coast Guard station.